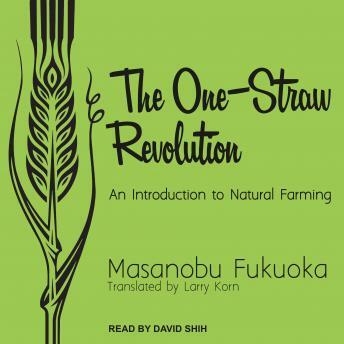 Trained as a scientist, Fukuoka rejected both modern agribusiness and centuries of agricultural practice, deciding instead that the best forms of cultivation mirror nature's own laws. Over the next three decades he perfected his so-called 'do-nothing' technique: commonsense, sustainable practices that all but eliminate the use of pesticides, fertilizer, tillage, and perhaps most significantly, wasteful effort. Whether you're a guerrilla gardener or a kitchen gardener, dedicated to slow food or simply looking to live a healthier life, you will find something here-you may even be moved to start a revolution of your own.